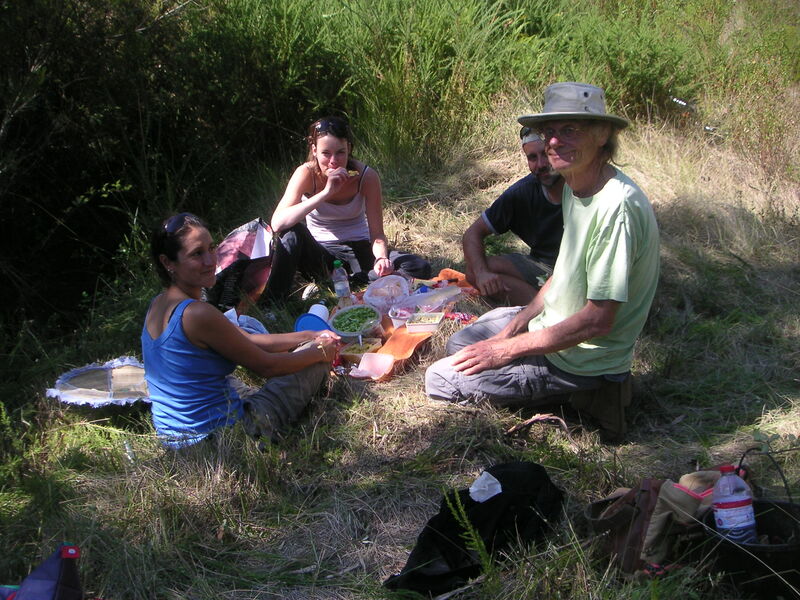 Yesterday we had a picnic on our wild land of 31 hectares still waiting to be developed into a Permaculture water landscape and a place of meditation, healing, joy, togetherness and creativity. A new opening seems to be on the horizon to get the required approvals and licenses. More news to follow. In this picture, from left, Silvia from Portugal, Marie from Germany and Ismael from Spain.